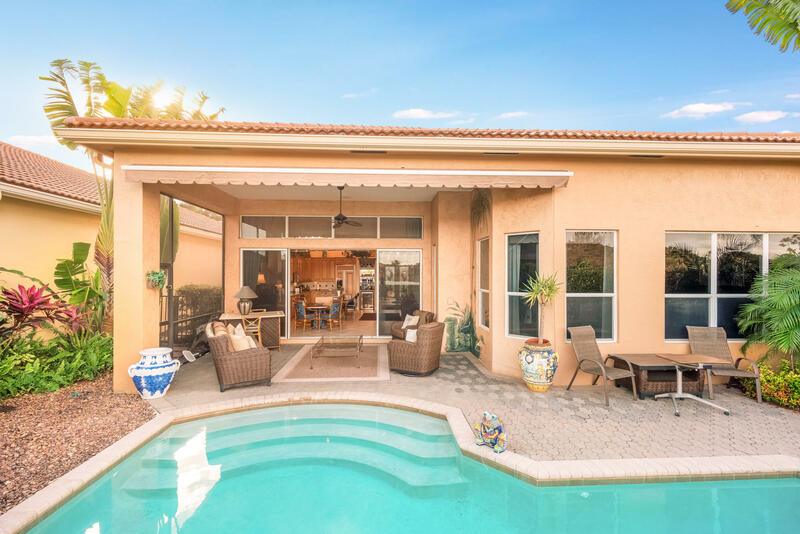 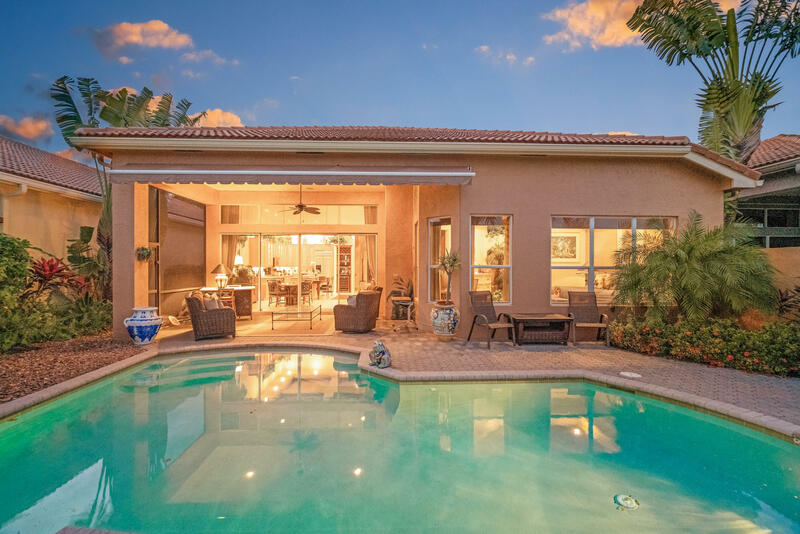 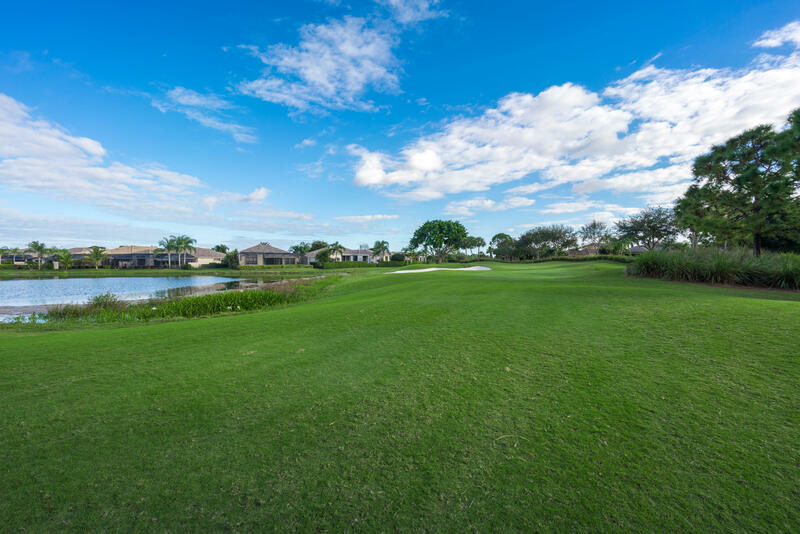 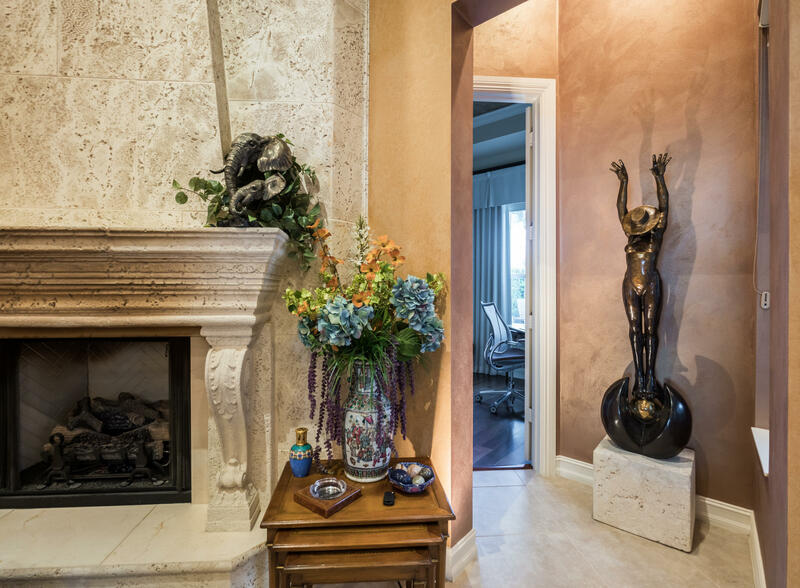 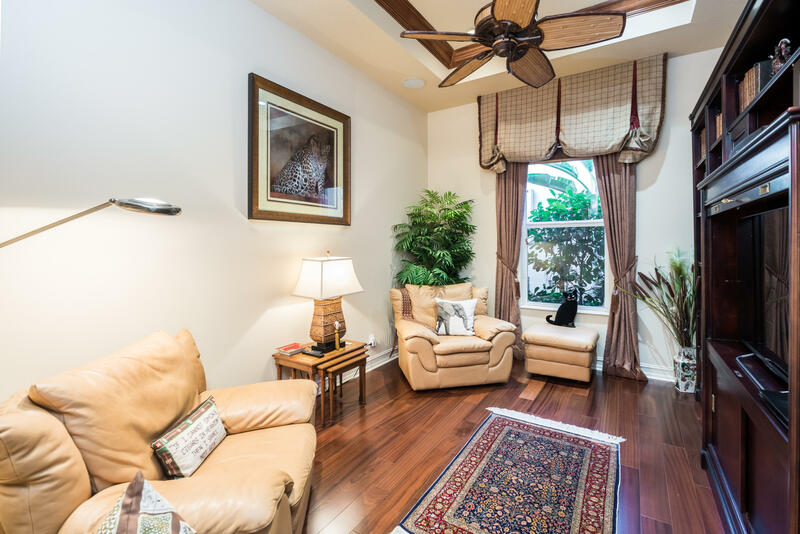 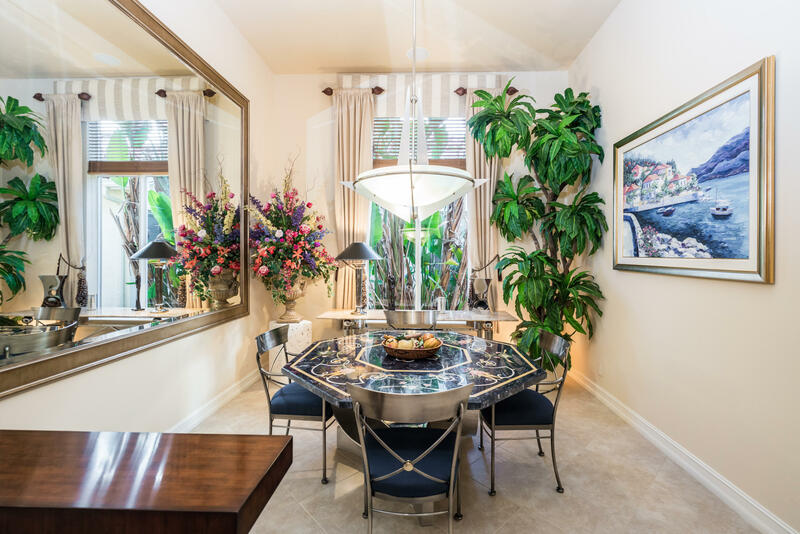 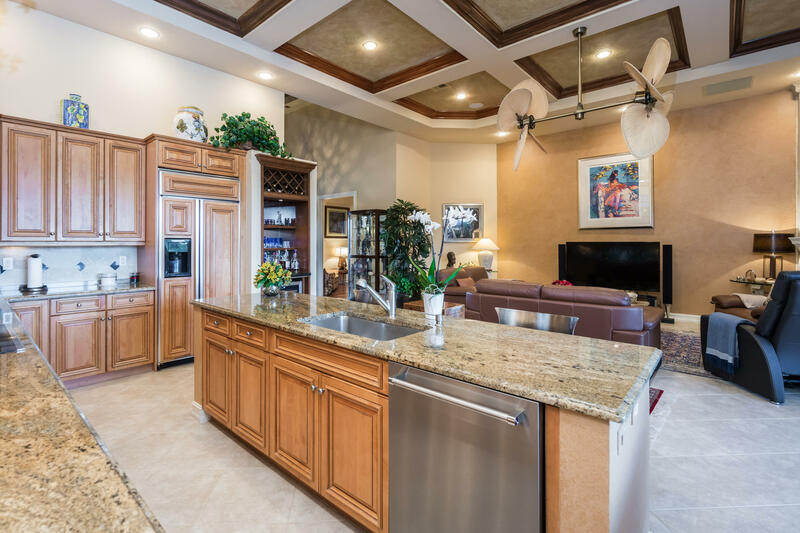 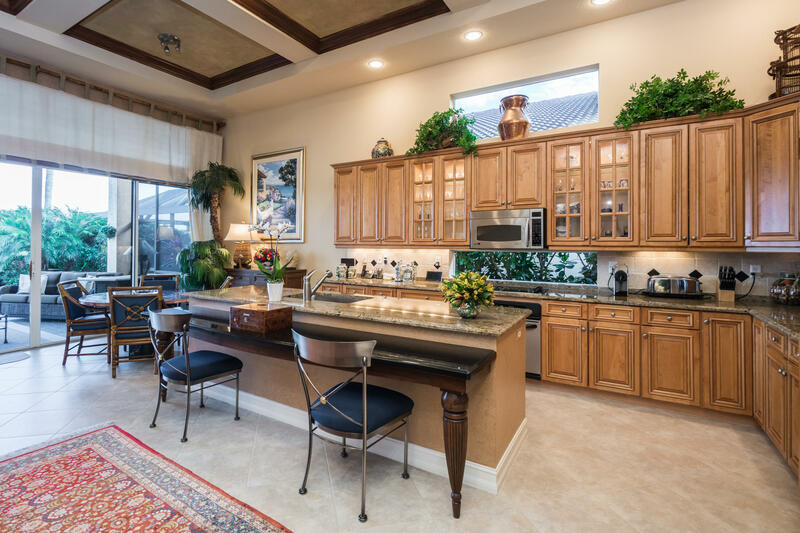 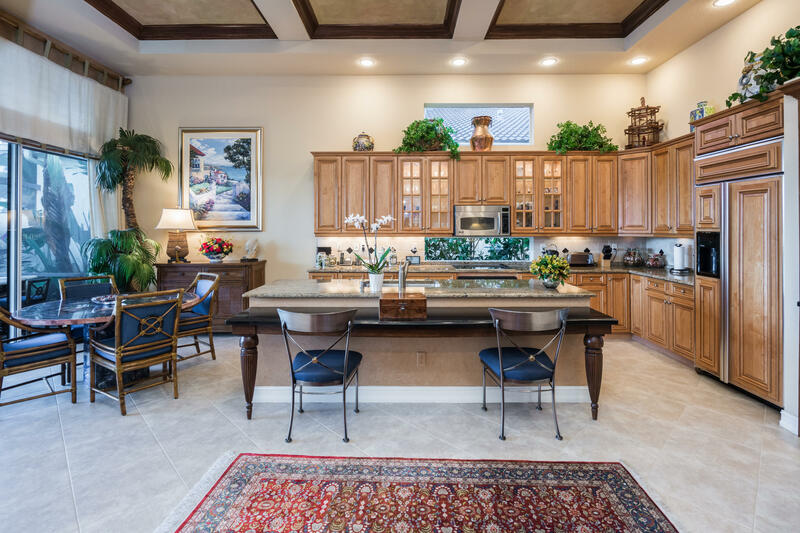 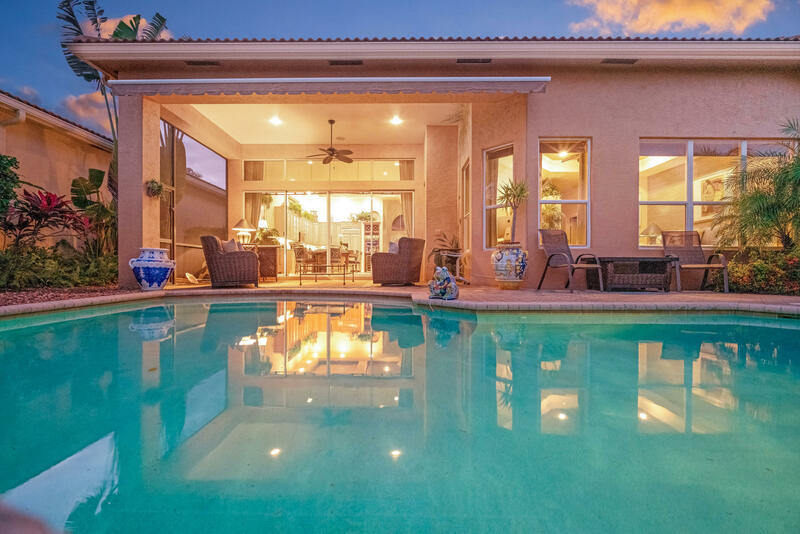 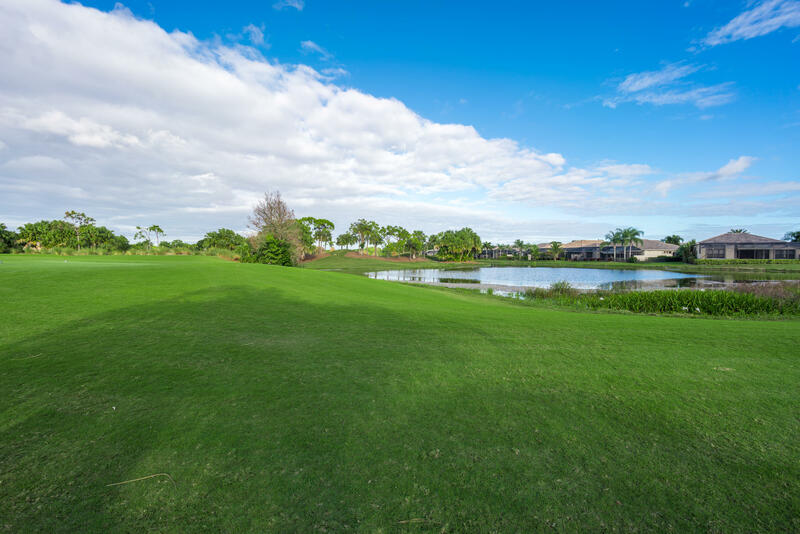 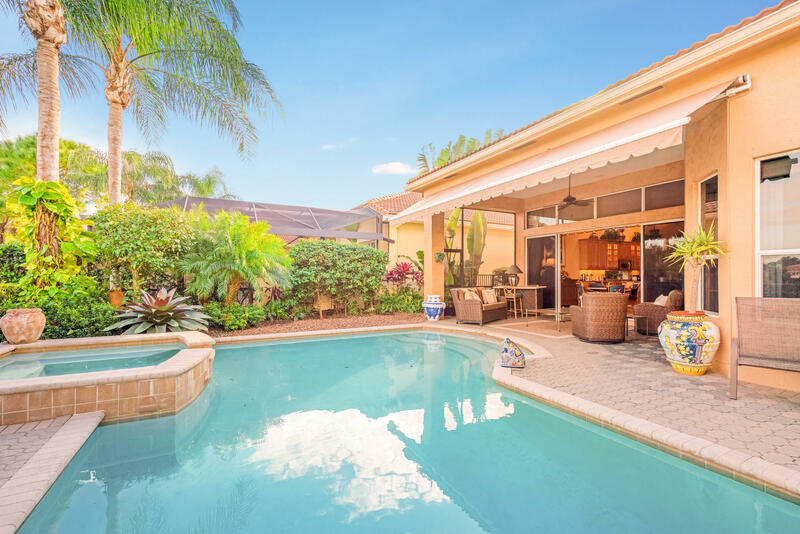 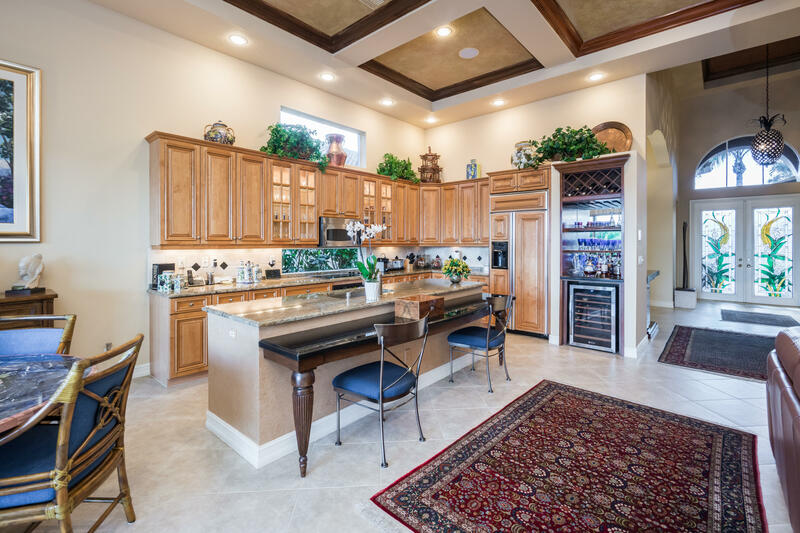 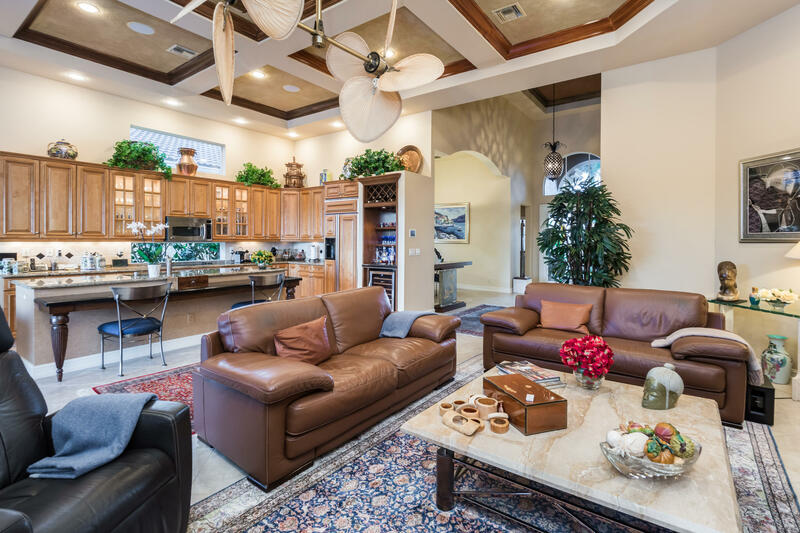 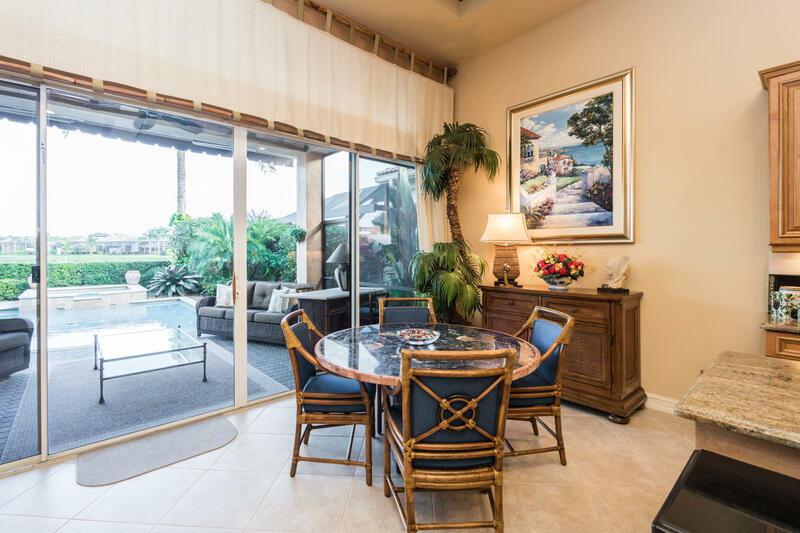 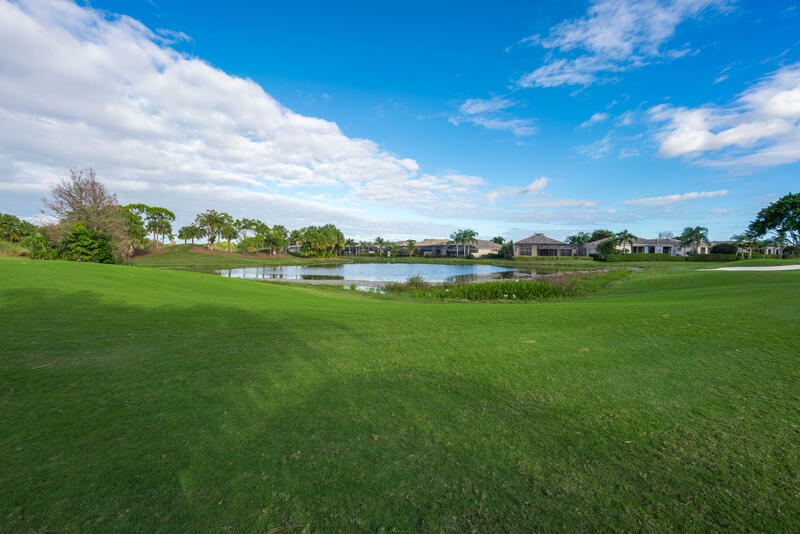 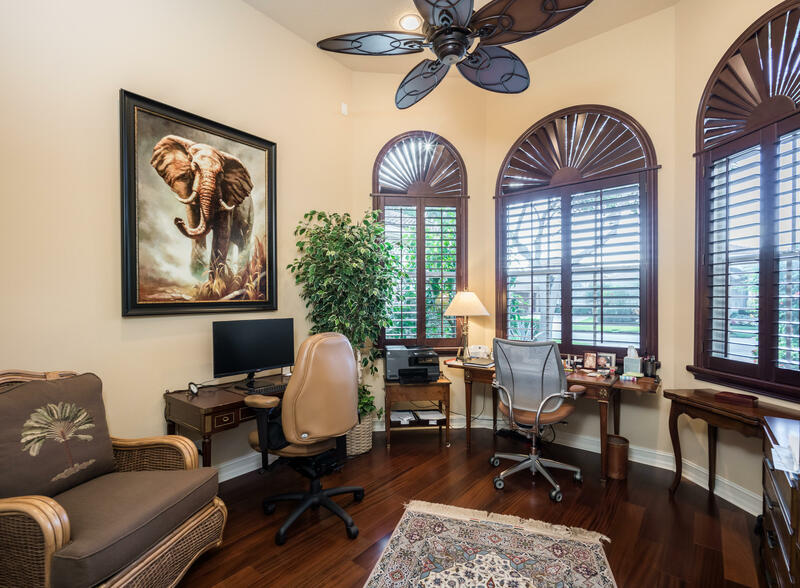 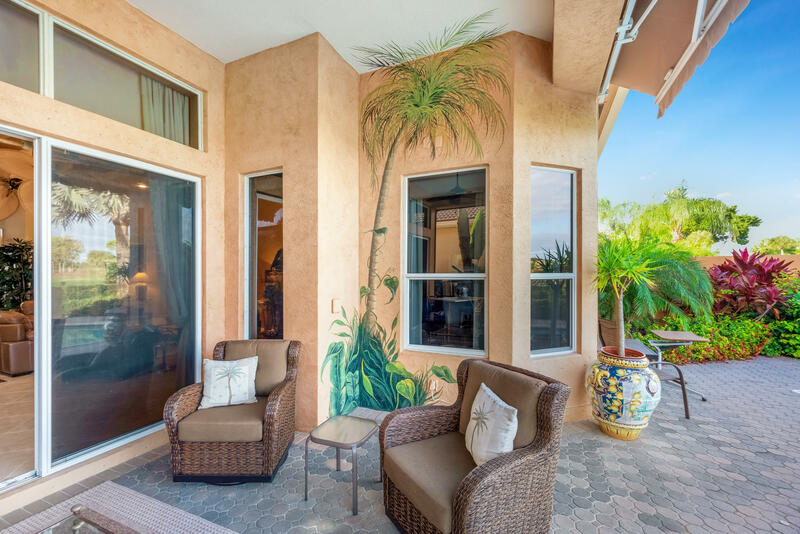 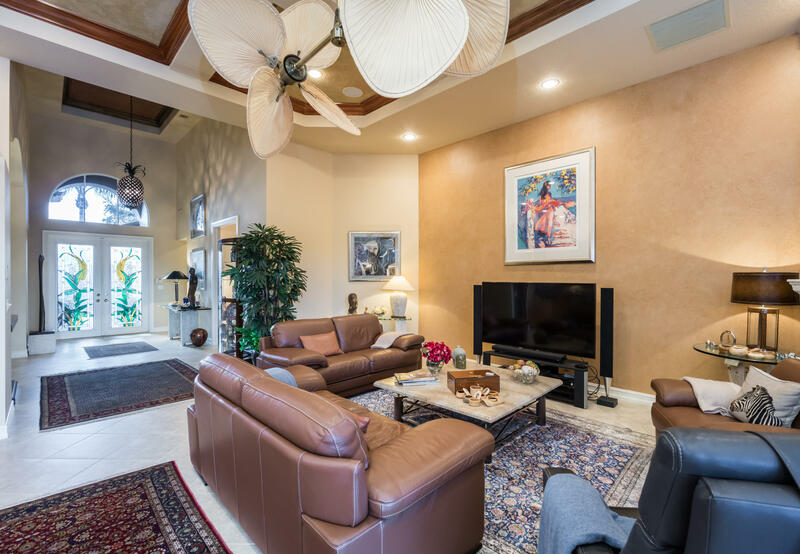 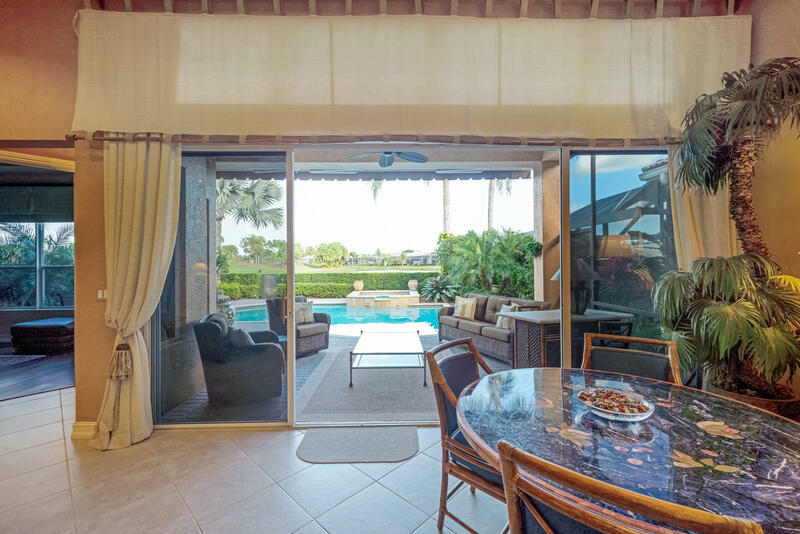 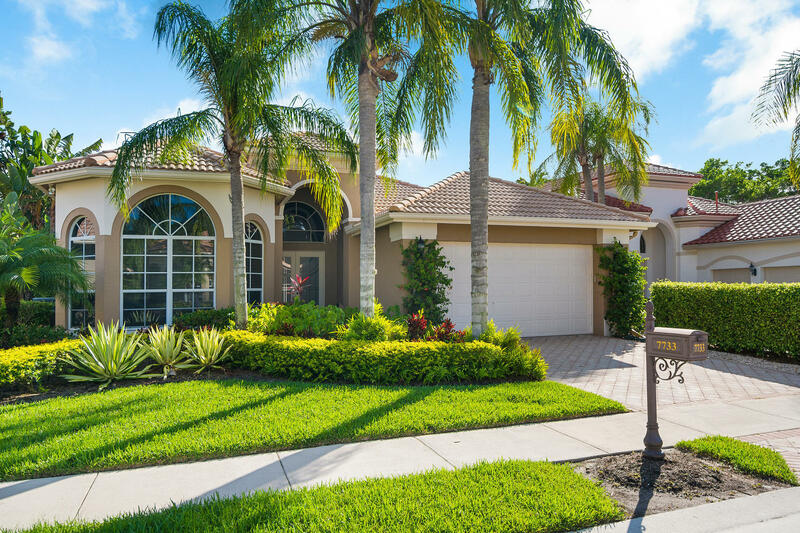 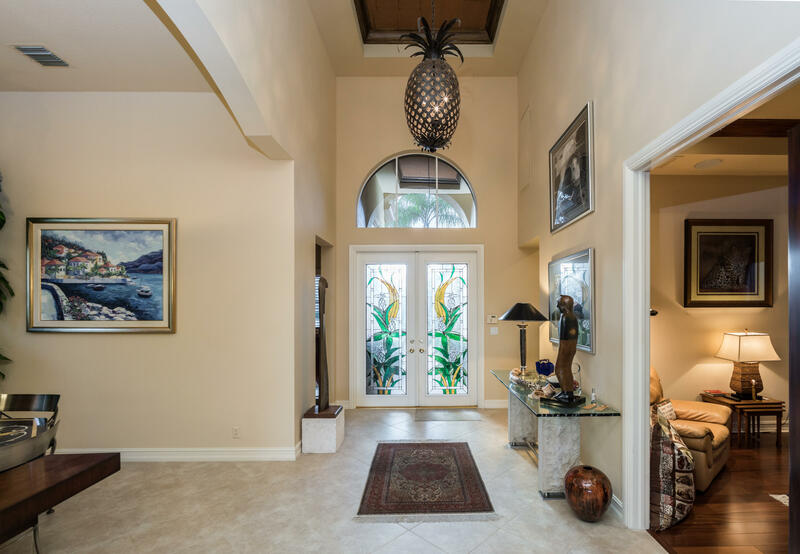 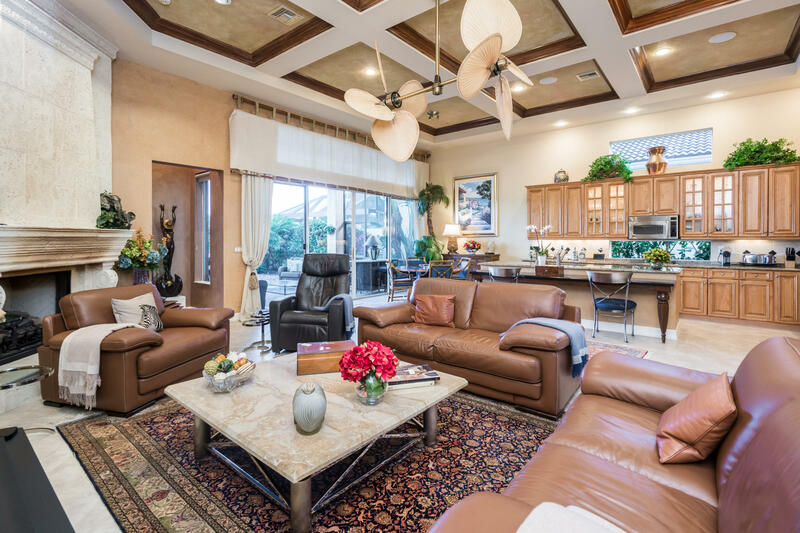 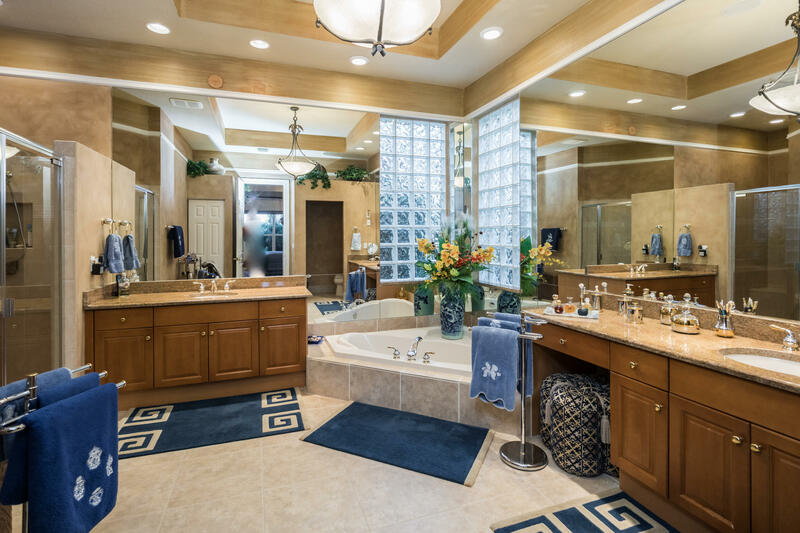 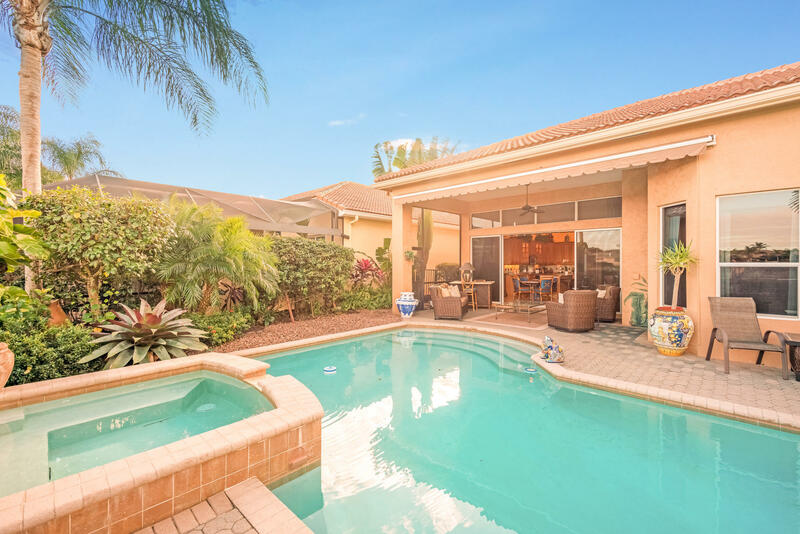 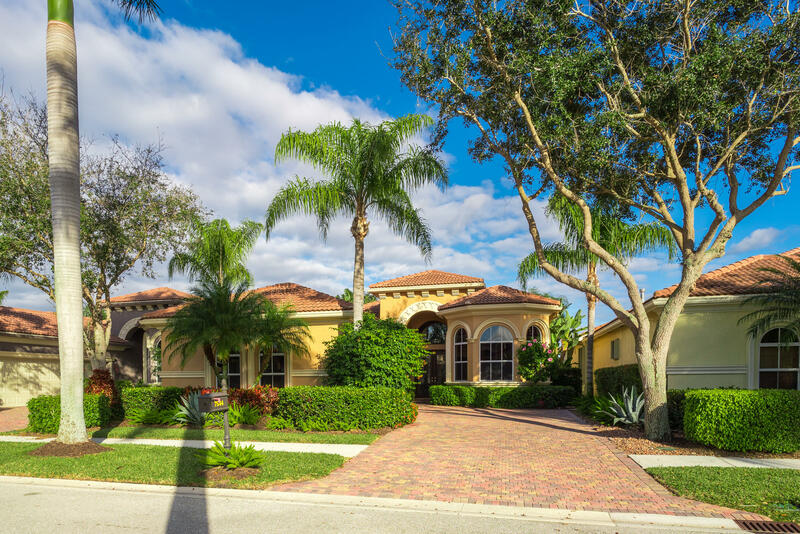 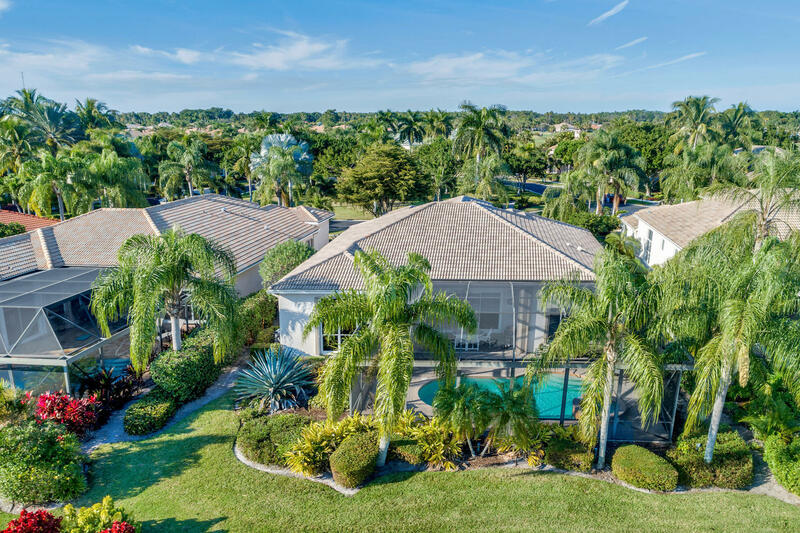 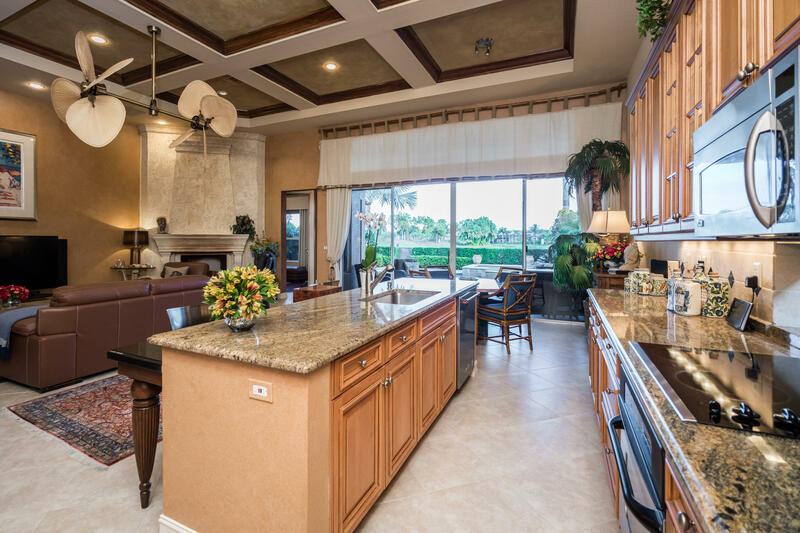 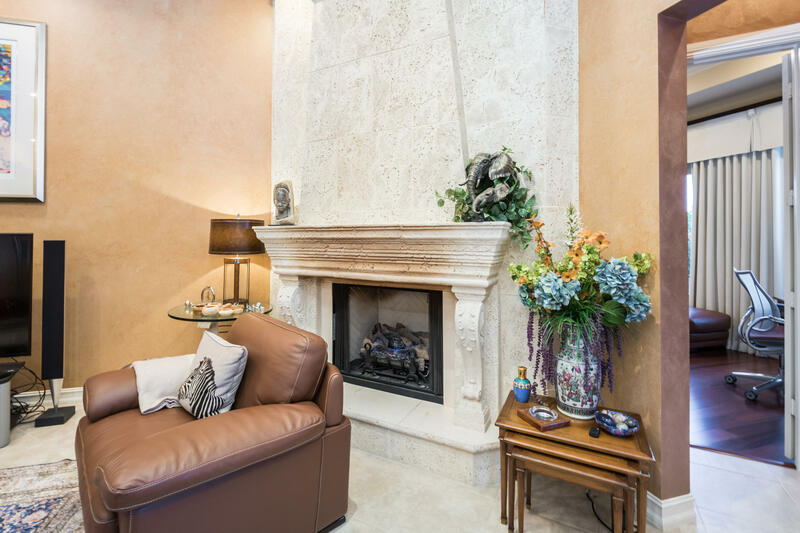 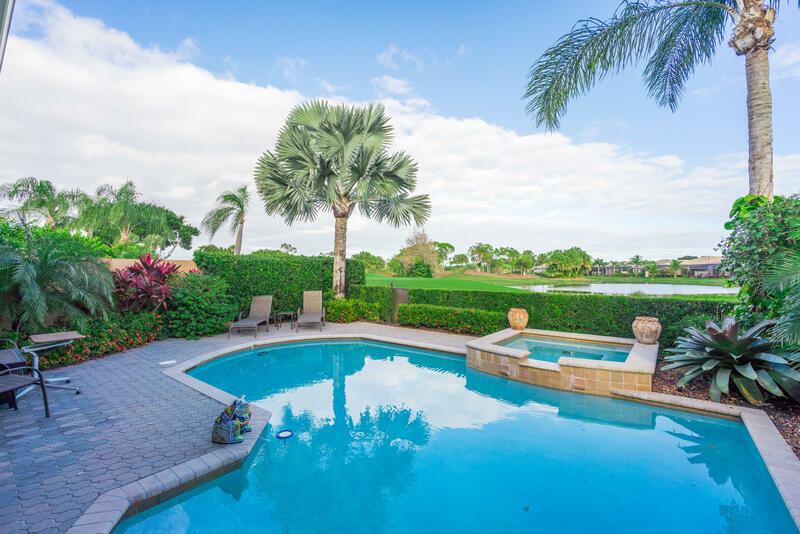 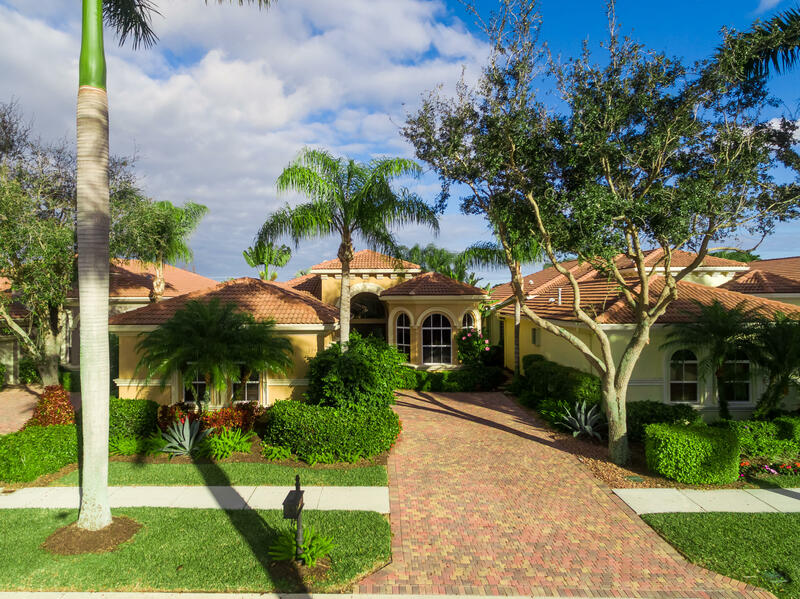 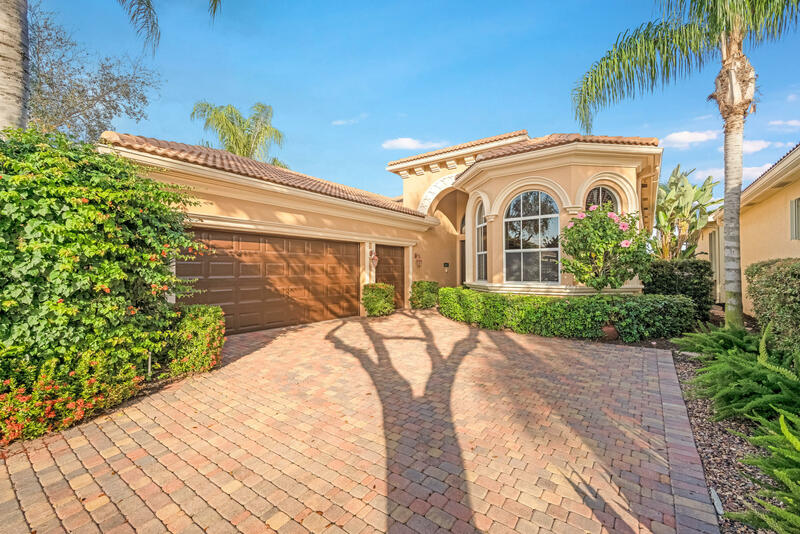 Enjoy golf and water views while living in paradise in this very special, luxurious, 3BR/3BA + Den open-plan estate home situated on the 3rd fairway of the Tradition course in the prestigious private community of The Club at Ibis. 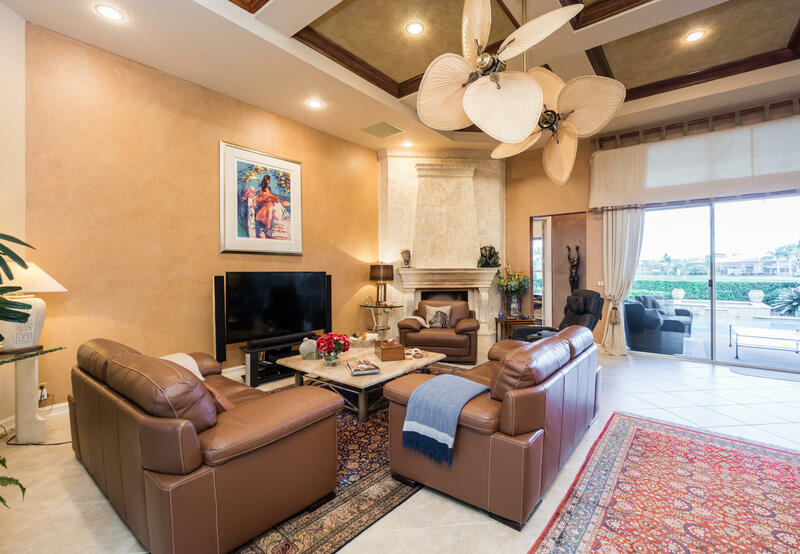 High-end features include volume coffered & tray ceilings with crown molding & recessed lighting, high-end engineered wood flooring & porcelain flooring laid on the diagonal, granite countertops, a coral fireplace, sound system throughout, stained glass, newer stainless steel appliances, and large windows and sliding glass doors. 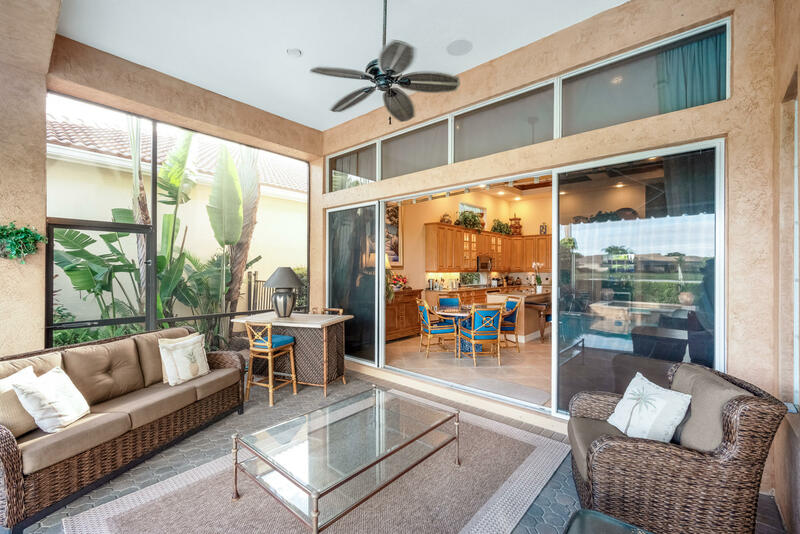 The patio is an outdoor oasis and has a covered seating area, retractable awning, a swimming pool with attached spa, and paver flooring. 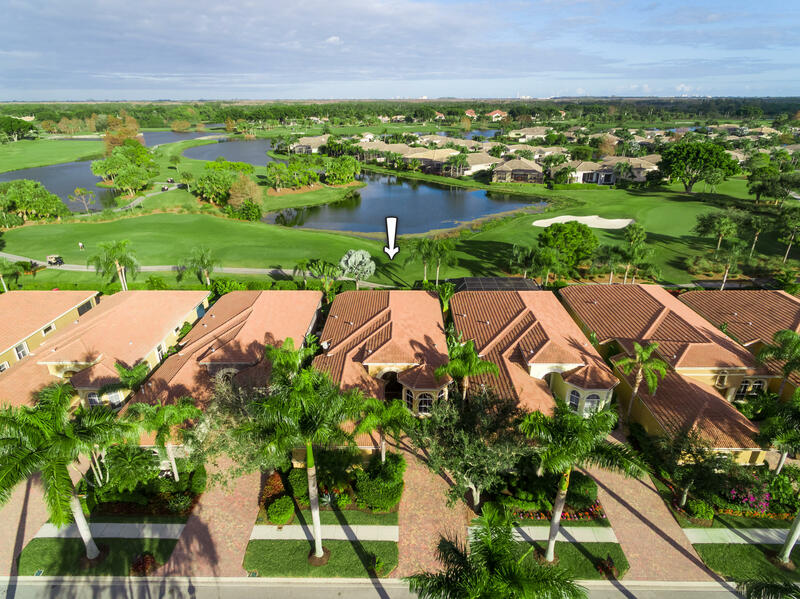 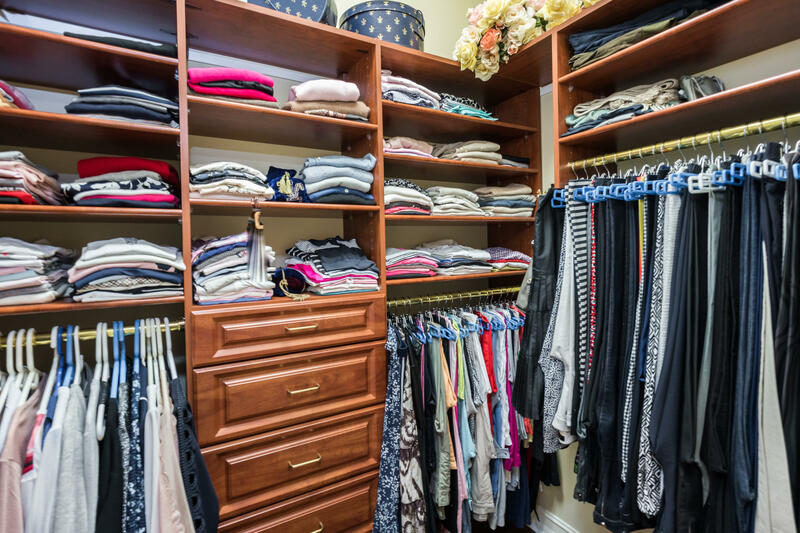 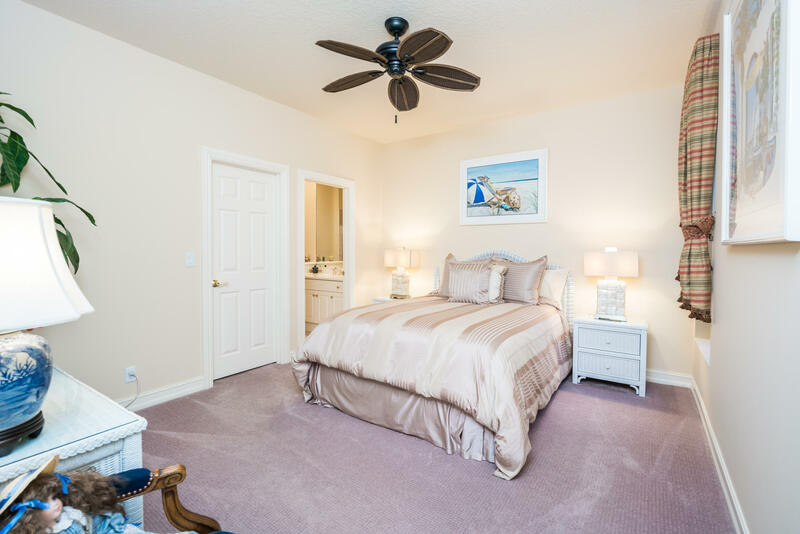 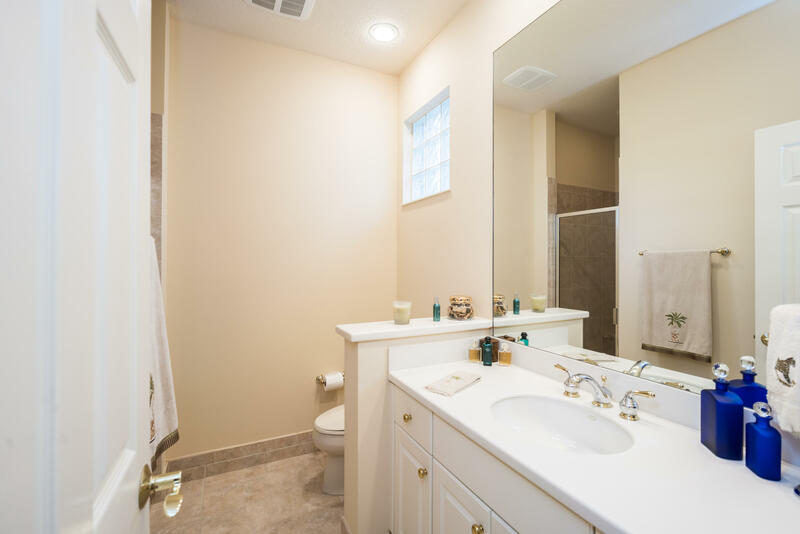 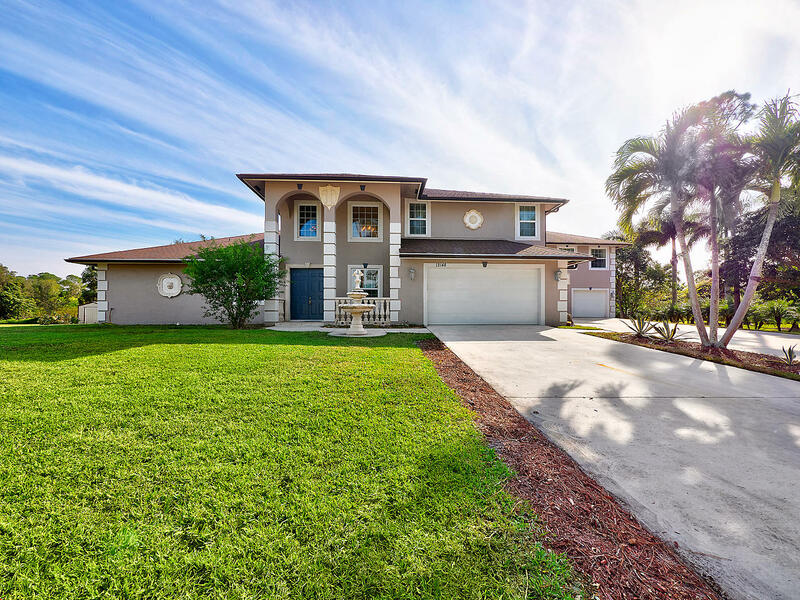 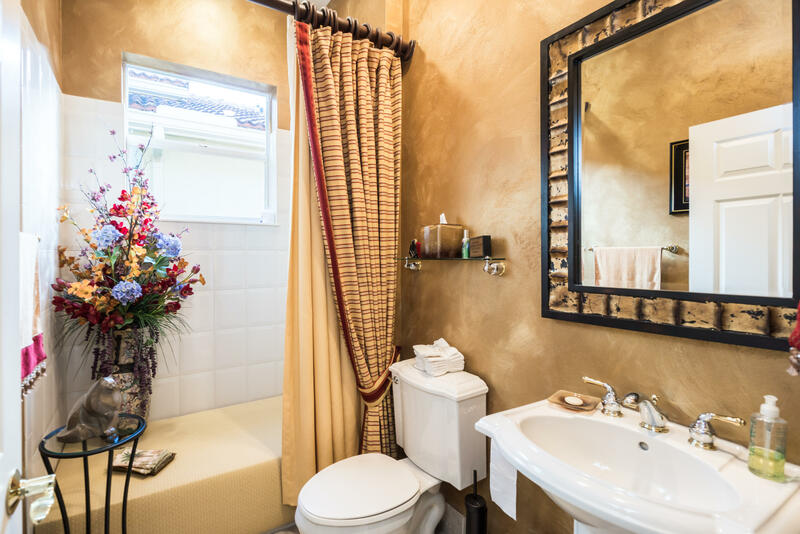 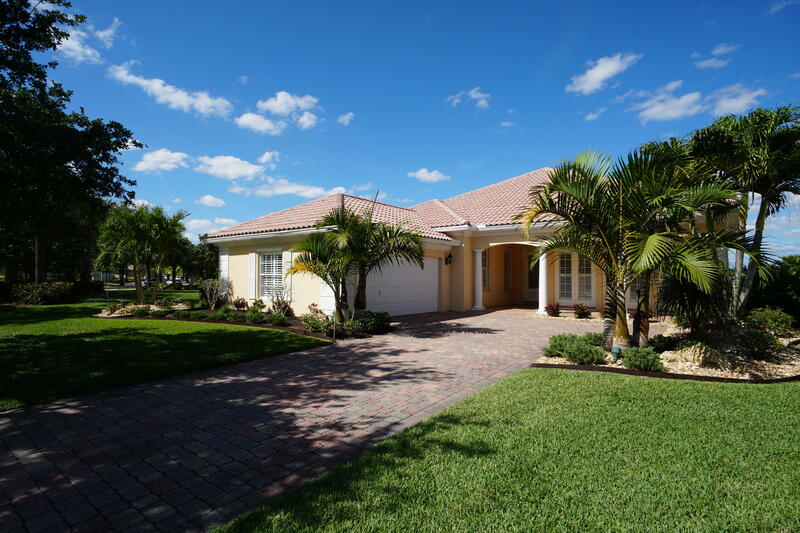 I would like more information about 7944 Via Villagio West Palm Beach, FL 33412 MLS #RX-10502584. 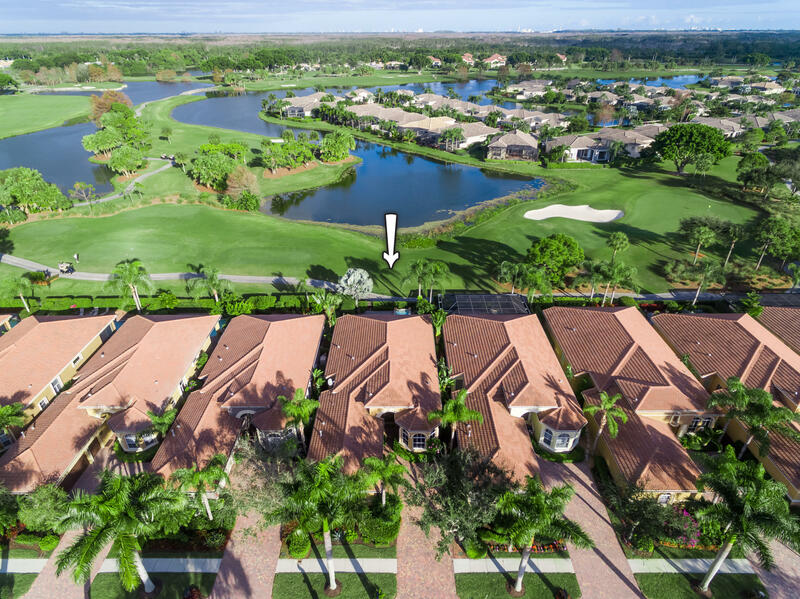 Directions: From Ibis Gate, right at first stop, follow to Hawk's Landing on left (make a left), follow to Villagio on right.